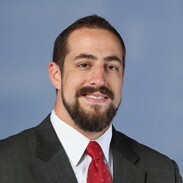 Andy is the Chair of the firm’s Governmental Practice. He represents and counsels governmental entities in Illinois on a range of issues, particularly the Open Meetings Act, the Freedom of Information Act, and Illinois' Tort Immunity Act. Andy is a participating author for Illinois Institute for Continuing Legal Education (IICLE) publications, including the Introduction to the Open Meetings Act chapter in the “Illinois Sunshine Laws” publication and the Contracts chapter in “Municipal Law: Contracts, Litigation and Home Rule.” In addition, Andy has authored numerous articles related to the representation of governmental entities, and he is a frequent speaker on an array of government-related issues at conferences, in-house seminars, and other events focused on public entities. Andy also represents numerous private-sector clients in litigation throughout the state of Illinois, particularly defending corporate clients in asbestos-related cases. He has handled numerous trials, mediations, and arbitrations. His clients include equipment manufacturers, premises owners, miners, and contractors. He handles cases throughout Illinois, in state and federal courts, and in multi-district litigation. Woodford County, Illinois – Defense of farmer sued for breach of contract by seed-corn company. Defense verdict after jury trial. Peoria County, Illinois – Defended a manufacturing client in a breach of contract lawsuit brought by the client's former advertising agency, which was ultimately resolved through mediation. McLean County, Illinois – Prosecuted a subrogation claim against truck maintenance provider on theory of negligent maintenance of brakes. Click here to view full list. Selected as a Leading Lawyer in Illinois. Only five percent of lawyers in the state are named as Leading Lawyers.